What To Get The Camper Who Has Everything? You Have Got to Be Kidding! 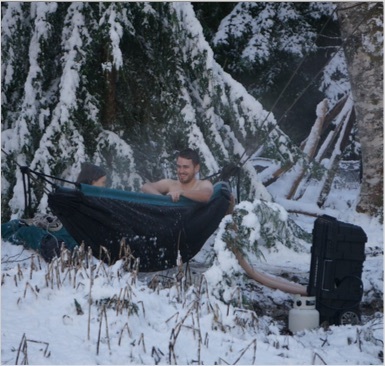 I came across this hammock hot tub. It looks like fun to try out but not really for your mainstream camper. ← Chuckle Monday – A helpful tip. So can we expect photos of YOU enjoying this “unique” hot tub? How many glasses of wine will it take for you to partake in this hot tub adventure? I’m wondering how heavy it is once filled with water. I want to see a story about someone backpacking this thing up a mountain. I am guessing very heavy, you gotta wonder who buys this stuff.